Reading this book, you get the sense that Lisette Schuitemaker sees right through you. As if she knows that you gorge on chocolate at times, that you go crazy if people know something you don’t, that you are bound to hit the slow cashier one day. Or that in truth you’re not here at all with your thoughts. And how ardently you hope that one day someone will truly love you the way you are. You, me, all of us have drawn some conclusions in our childhood: impressions we got as a young child and the conclusions we jumped to about ourselves, the world and our place in it. These childhood conclusions still produce habitual thoughts that mark our behaviors. “Why didn’t I know this before and why don’t we all know this?’ were the questions that prompted the author to share her insights. 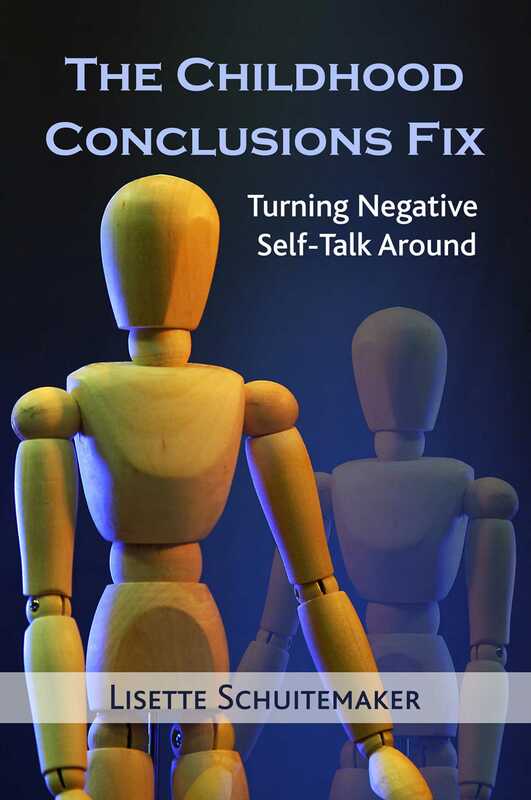 Illustrated with examples from her private practice she shows how childhood conclusions are at work in all of us--and how we can turn them around into a positive outlook on ourselves and others. The five childhood conclusions tell you exactly what you think about yourself. And how you could think differently. And gain so much more freedom for living your life. This book is for anyone who is curious where their habitual thoughts arise from.